A new book on remarkable achievement has just been released, and interestingly, Richard Branson wrote the foreword. In it, he says “that across Africa, the spirit of entrepreneurship is very much alive, leaving me constantly amazed by the incredible energy and determination and innovation coming from entrepreneurs across the continent”. Acknowledging Pliny The Elder’s Latin statement : ex Africa semper aliquid novi, (out of Africa there is always something new), the Nigerian born author, Moki Miqura identifies sixteen dynamic and outstandingly daring African men, who’ve built sustainable enterprises which can be benchmarked alongside the best in the world. The author tells us that these men have worked ingeniously within the context of the historical, economic and political climates of their respective countries; manoeuvred their way through hostile business environments, antagonistic governments, repressive systems, personal poverty and even a lack of education, to be counted among some of the world’s most formidable giants of business. One of these sixteen achievers is South Africa’s Richard Maponya, who against all odds and obstacles presented by the apartheid government, is today one of the most celebrated and respected entrepreneurs in South Africa. Maponya succeeded in achieving many firsts in South Africa. He was the first person to open a dairy shop and milk delivery service in Soweto. He also brought the township its first grocery store which grew into a lucrative chain of eight Soweto-based discount supermarkets, making him (at one time) the single largest employer in Soweto. In 2007 Richard’s long-lived dream finally came true when he opened Maponya Mall, the country’s first mega-mall to be built in a township. His simple statement on his latest achievement is “Sowetans deserve the best”, and in his recent acquisition of Shemagh (by Malhub out of the Northern Guest mare Dress Code) at November’s Emperor’s Palace Ready To Run Sale, we’d like to think that Richard Maponya, in his own right, deserves the best. Well done, Michael Azzie, for bringing this struggle icon back into the game. If ever there was a society of patriarchs, it was the old South Africa. The home, the workplace and the social milieu, for centuries on end, have witnessed the dominance of the male species, and while South Africa’s constitution has altered the status of women in law at least, and there has been genuine progress made since the democratization of this country in 1994, we’re still steadfastly a country that believes that businesses should be run by males, that the bread-winner should be male, and that parties are really for men. Amazingly, in another world which on a global scale is largely dominated by the achievements of men, South Africa is the antithesis when it comes to the breeding and racing of horses. Ladies of the formidable ilk of Bridget Oppenheimer, Mary Slack and Sabine Plattner have long strutted at the top end of South African racing stage, and latterly, the rising star is Gaynor Rupert. Her Drakenstein Stud, which has to be one of the most picturesque operations in the world, sitting as it does in the lee of the great mountains that envelop the Franschhoek Valley, is not only breeding good horses, but it sends out a stream of good winners, and increasingly they’re being prepared and trained on the farm itself. Erin Georgiou recently sent us the above photograph, which simply extends the lineage of ladies who constitute the force in our ranks. Her husband Tony, has served on the boards of many a racing entity, and they breed from a selective, high quality band of mares which they keep on various farms around the country. 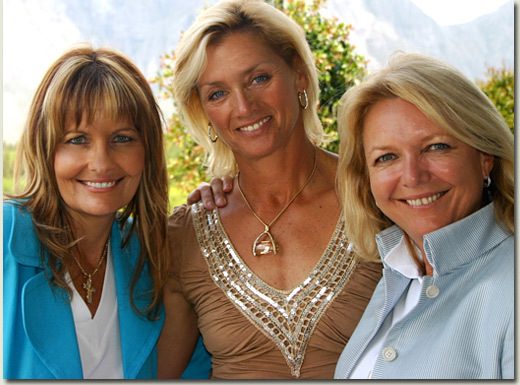 Alongside her is Lindy Taberer, proprietor of the renowned Avontuur Stud, and an owner of a previous Rothmans July winner in Right Prerogative, while Gaynor makes up the trio. It’s very obvious from what the photograph tells us, that these ladies have been very well kept. No doubt, their husbands played a significant role! The KwaZulu-Natal Owners and Trainers Awards for the 2007/2008 racing season were held at a Dinner Dance occasion at Greyville after the day-night meeting on Saturday. The evening was co-hosted by Graeme Hawkins and James Goodman and was well attended by trainers, owners and other members of the racing fraternity. David Thiselton writes that the Horse of the Year was awarded to Imbongi, who was trained by the Trainer of the Year, Mike de Kock, and bred by the Breeder of the Year, Summerhill Stud. Imbongi’s second stint in KZN followed his surprise win in the Grade 2 Gauteng Guineas but he then proved himself a top class horse, Mike de Kock having said during the season that the Russian Revival chestnut improved tremendously with gelding. He won the Grade 2 KZN Guineas in brilliant fashion after being squeezed not much more than 100m from home and then became the first three-year-old of the season to beat older horses when landing the Grade 2 Drill Hall Stakes over 1 400m against a star-studded field that included the likes of Pocket Power. He then beat Pocket Power again when finishing second to Dancer’s Daughter in the Grade I Gold Challenge over 1600m at Clairwood, a race that was billed “the Race of the Season”. Imbongi was also crowned Champion three-year-old colt, while his groom, Goodman Bhuku, was named Groom of The Year. Champion two-year-old filly went to the Grade I Thekwini Fillies Stakes winner, the Duncan Howells-trained Gypsy’s Warning, and Champion two-year-old colt went to the Grade I Premier’s Champion Stakes winner, the Mike de Kock-trained Rocks Off. Mike De Kock also scooped both the Champion Older Horse and Champion Stayer awards, with Canon Gold Cup winner Thundering Star, and the Champion Sprinter Award with SA Fillies Sprint winner, Rat Burana. The Mike Miller-trained Garden Province winner, Outcome, won the Champion Older Female award. Mike de Kock’s Award for Champion Trainer was, unbeknown to many, a close shave as he only had a single winner more than the perennial winner of the award, Dennis Drier, on KZN racetracks. Brandon Lerena was Champion Apprentice for the third year running while Champion jockey went to the evergreen Robbie Hill. Markus Jooste was Champion owner while Moga Pillay won the Anita Akal Award, which honours those who go beyond their call of duty in serving the horseracing industry. Mike de Kock’s many awards were received by his assistant John Buckler, as the maestro trainer is currently in the US preparing Eagle Mountain for the Breeders’ Cup. Charl Pretorius Freeracer Mike de Kock is set to write another new chapter in the history books by becoming the first South African to saddle a runner at the US Breeders’ Cup World Championships meeting at Santa Anita near Los Angeles, California, on 25 October. Mike de Kock announced on Monday, 6 October, that Sheikh Mohammed bin Khalifa Al Maktoum’s four-year-old, a Group 3 winner in his comeback run last week, will be entered for and pointed at the 2008 Breeders Cup Turf over 2400m. Eagle Mountain, a son of Rock Of Gibraltar, won last Friday’s Group 3 Nayef Joel Stakes over 1600m after a year’s layoff, setting a track record. Mike de Kock said: “This was a meritorious win considering that he (Eagle Mountain) came back from a serious pelvic injury and over a trip too short. He is at a high level of fitness and is eligible for the Breeders Cup. I consulted with Sheikh Mohammed and we made a decision to pencil his name in when entries fall due on 14 October. With three weeks to go, we will be focusing fully on the race in his preparation. Previous winners of the illustrious Breeders Cup Turf include In The Wings, Daylami, Fantastic Light and High Chaparral. To the delight of all the connections as well as the insurers, Lloyds of London, MULLINS BAY and STRONGHOLD have had their first mares tested in foal. Both of the new “boys” on the block have settled into their new role as “superstud” exceptionally well and Greig Muir and his stallion team report that they are doing a sterling job! MULLINS BAY has impressed all who have laid eyes on him and has been very well supported. Amongst his visitors are Garden Verse (dam of IMBONGI and SPRING GARLAND), Nordic Air (dam of ICY AIR), BRIDAL PATHS (Thekweni Fillies Stakes winner and sister to PICK SIX) and DIGNIFY (Golden Slipper winner and sister to J&B Met winner, ANGUS) to name just a few. He has had support from around the country with mare’s being sent not only by the local Natal studs, but also from the Eastern and Western Cape. STRONGHOLD is proving exceptionally fertile as he has had a 100% strike rate to date with all of his mares tested in foal. The first of his ‘harem’ confirmed in foal was Deceptive Charm, a royally bred filly by KINGMAMBO out of a stakes winning SADLER’S WELLS mare. STRONGHOLD will be visited by a number of ‘foreigners’ this season as Modraj, a MACHIAVELLIAN mare out of a sister to Urban Sea (dam of non other than the great GALILEO), has been booked to him as well as Nadira (a NASHWAN mare out of a full sister to KAHAL) Also heading his way in the not too distant future will be Choice Field, the dam of G1 Gomma Gomma winner PICK SIX. These exciting new editions to the Summerhill stallion barn are booking up fast so to avoid disappointment give Linda Norval a call on +27 33 2631314. South Africans awoke this week not only to the arrival of spring, but to the news that our President, Thabo Mbeki, had resigned his post as the Head Of State. We tend to greet these things in this country as major upheavals, but it so happens that on the same weekend Israel changed its Prime Minister prematurely, and Gordon Brown, head of arguably the world’s oldest and greatest democracy, Great Britain, faces the possibility of an early demise at his own Labour Party conference. Let’s not forget either, Brown took over when Tony Blair had to go ahead of his time! The machinations surrounding the recall of Mr. Mbeki reached a climax last week on the 12th September, with the pronouncement of his judgment in Jacob Zuma’s corruption case by Mick Goss’ one-time legal colleague, Judge Chris Nicholson. Yet, in the wake of the ANC’s upheaval of their internal politics at Polokwane last November, the death-knell for the President had already sounded, and while he’s done a manful task in bringing together the impossible in Zimbabwe and a few other places in Africa, back at home, from the time of Polokwane onwards, he really was a “lame-duck” president. His speech announcing his resignation was nothing if it was not dignified, and he spoke as a proud and very loyal South African. As we bid him farewell, we need to acknowledge the fact that it was he that gave us our modern economy, and projected South Africa (and Africa) onto a world stage that had begun to consider this continent as something of a lost cause. No other continent better illustrates the importance of leadership in determining the future of a society than Africa does. For decades, the continent was saddled with ineffective and unethical leaders who stunted its development. Civil wars and regional conflicts – like those that occurred in the Congo, Liberia and Sierra Leone – led to millions of deaths and created unstable environments in which development simply could not take place. Billions of dollars in foreign aid, oil revenues, and tax collection were siphoned out of the country into Swiss bank accounts instead of being used to develop the continent. Leadership is the most fundamental thing to get right for Africa. 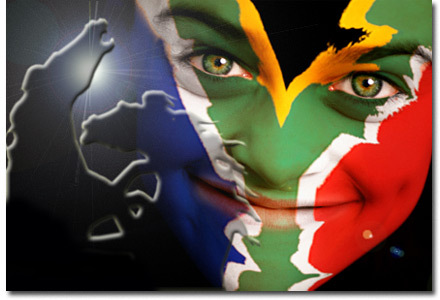 Once Africa got its leadership right, the continent could start to make progress in leaps and bounds. The despotic and corrupt political leaders that Africa was famous for have largely moved on, allowing a new face of leadership to emerge in Africa. While by no means perfect, leaders such as Ellen Johnson-Sirleaf in Liberia, John Kufuor in Ghana, Abdoulaye Wade in Senegal, Paul Kagame in Rwanda, Umaru Yar’Adua in Nigeria and Jakaya Kikwete in Tanzania are in an entirely new class than those of the past. This new breed of leaders genuinely seems to have the best interest of their people at heart, as opposed to simply amassing personal fortunes or pursuing their own agendas. South Africans in general are aware that our own generation have their own crosses to bear, none more so than the man destined for the presidency, Jacob Zuma. However, he’s there to do the bidding of the ruling party, and it would appear that with the events at Polokwane and the recall of President Mbeki, there’s a new urgency in their midst, and that whoever leads from now on will do their bidding. 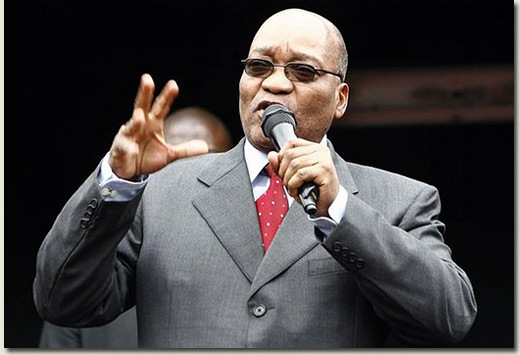 Jacob Zuma himself is known to us at Summerhill as a man of presence, personality and charisma, and while he has a few holes to plug in his public record, he might just be the guy we need right now to bring some stability to the ranks of the ruling party, whose fractures have left the country in a state of political limbo and uncertainty. That said, new democracies generally take 14-15 years to bed themselves down, and its not uncommon for ruling entities to be tipped out at that stage. We’re just about there now, and this is when constitutions count and the rule of law and the independence of a judiciary matter and when the value of a free press comes home to its citizens. Those things are fundamental to life in this country, and those are the reasons we can look forward with great optimism to our future. As far as the horse game is concerned, we’ve never been better positioned as a nation than we are right now, and with the help of a few of our overseas friends, and the talents of our horsemen, we’ve still got some heights to scale. We’ve often heard Mick say that Summerhill’s not about one man or one family; it’s about the collective whole, and the deep diversity of talents that make the place tick. It’s also a place with a broader range of interests than the horses for which we’re trying so hard to establish a reputation. Vuma Feeds is a purveyor of the finest horse feeds in Africa to several corners of the world; Goss & Co Insurance Brokers writes South Africa’s second largest premium in horse insurance, with underwriting facilities at Lloyds of London for more than 50 years; and Hartford House has been described as “the resolution of all South African safaris”, such is its renown in the hospitality trade. Its well-known that Hartford is Cheryl’s “baby”, and this week the Gosses have been away on their own “safari”, attending a gathering of the Land Of Legends, a grouping of the leading hospitality properties in KwaZulu Natal, founded by the Gosses, the Rattrays at Fugitives Drift, and the Poynton’s of Cleopatra. It now also comprises Phinda Private Game Reserve, which is part of the world’s most diverse safari group, C.C.Africa; Rocktail Bay, the gem in Wilderness Safaris KwaZulu Natal crown; Hotel Izulu on the North Coast, and Three Trees at Spioenkop. This quarter’s meeting of the Land Of Legends took place at Phinda, surely one of the finest wild sanctuaries anywhere, combining as it does the “big five” territory of the Kruger Park environs with the wetland attractions of the Okavango Delta. There are seven different ecosystems in Phinda, so it’s not only the diversity of the animals it attracts, but also its vegetation. Those that run it have seen to it that its camps and lodges are equally varied, which means that a return visit to Phinda is always full of surprises and new expectations. Before the Gosses got to Phinda, they took three nights at a private bush lodge in Hhluhluwe, the flagship (with Mfolozi) in the vast assembly of reserves under the management of KwaZulu Natal Conservation Services. Taking a lodge of this sort means the whole eight bed stilted camp, where suspended wooden walkways connect the thatched accommodation, and you have a dedicated cook and game guide entirely at your disposal. For what you get, it’s surprisingly affordable. Yathi the chef, has been known to the family for many years during their visits to Hluhluwe, and he’s a cook capable of holding his own in the best culinary establishments, while Xolani Mkwanaze is an extraordinary man in the bush, deeply knowledgeable and resourcefully instinctive. A trip of this sort is a soul-restoring escape in its own right, and reconnecting with the earth and the animals we’re so lucky to live among in South Africa is a secret narrative in the Goss family. Cheryl took some photographs while they were there, as she felt they reminded her of some of their family, friends and the team that works here. The gallery tells the story! She thought one of the primates bore a close resemblance to the Chairman of the Land Of Legends at the end of a long meeting. But don’t tell anyone she said that – it could compromise our salary reviews, come February! On to Rocktail Bay, where Wilderness Safaris have established a beautiful venue just behind the spectacular dunes which are a trademark of the Maputaland Coast. This is a private world, where you venture hundreds of kilometers to the north and the south along broad sweeping beaches without seeing a soul. Miles and miles of pristine sand, coral heads and rocky shelves, and abundant marine life. If you’re there at the right time of year, Maputaland is the nesting place of the mysterious and very rare Leatherback Turtle, as well as his equally intriguing cousin, the Loggerhead. Like Phinda, the guiding and hospitality at Wilderness Safaris is up there with the best in the world, and those of us that live in this phenomenally diverse province need to visit these places as a reminder of how lucky we are to live where we do. The Land Of Legends is a compendium of properties spanning the cultural, historical and environmental heritage of seven landscapes in one, and there is no experience in all of Africa quite as authentic. The Bush, the Battlefields, the Berg, the Beach and the Buzz are what make KwaZulu Natal tick, and with the three top culinary establishments in the province (two of which, including our own Hartford House, rank in the top ten in the nation) among them, this has to be a must-do for any would-be traveller. In a recent article about the lack of success of British trainers in European Group One races this season, Philip Freedman, Chairman of the British Thoroughbred Breeders’ Association and Flat Pattern Panel, alluded to the considerable success chalked up by South African runners in international events in the past few years, and the fact that there were new discoveries being made every day about the quality of horses produced in countries that were hitherto considered to be back-waters. There is a growing recognition of the virtues of horses bred in this country, but anything less than that would’ve amounted to a case of people keeping their heads in the sands. It’s inescapably true that from relatively small beginnings, South African-trained horses have left an indelible mark on the affairs of international racing in the past few years, principally in Dubai, Hong Kong & Singapore, but by no means limited to these regions. South African breds have posted Gr.1 wins in Australia, the United States, and on Saturday came perilously close to achieving the same distinction in the United Kingdom. While it was by no means the first narrow shave experienced by a South African runner in England in Group One company (remember Irridescence just a year ago)?, National Colour’s phenomenal effort in the Gr.1 Nunthorpe Stakes (which was originally scheduled for York, but with the water-logging at that course, staged at Newmarket), was not only a testimony to her exceptional talents, but also to a tale of courage and endurance). A trailblazer in the sprint division in her native land, National Colour carried the hopes of the nation when she went abroad in 2007 and blitzed a competitive field in her first outing in Dubai. She was then scheduled for the big sprint on World Cup night, but stumbled in the starting stalls and chipped her knees, putting a premature end to an ambitious programme. Culminating with France’s biggest sprint on the first Sunday in October. She has had to recover from fairly invasive surgery in order to get her life back on the road again, and she gave notice of her intentions with an excellent fifth in the July Cup last month. However, Newmarket would not be the chosen course for a filly of her phenomenal speed, as the last furlong on that famous trip is uphill, and, in our view, defeats much of the object where a display of raw speed is the intention of a competitive event. Her natural speed took her well clear in the early stages of the race, only to be blunted as she climbed the hill at the death, where the incline stopped what would’ve been a match-winning effort on other courses. In the end she went down just a half length, gallant to the last stride. For our money, we can’t wait to see her in her next assignment in the Prix de l’Abbaye, on “Arc” day at Longchamp, the first Sunday in October. Provided she gets good ground (and that’s a big “provided”, as the Arc meeting is often characterized by softness,) it will take a world beater to head her on what is fair, flat and speed favouring when the going’s on top. Those that watched Avontuur’s resident, VAR, blitz his field from end-to-end a few years backs, can take this off the memory shelf and smoke it, if they want. Meanwhile, nobody’s displayed more patience and deserves more commendation than the owner/trainer combination of Chris van Niekerk and Sean Tarry, and they carry the wishes of everyone at Summerhill for Saturday’s effort. Hartford House has long prided itself on its excellent wine list and on Wednesday it achieved something of a record for an establishment of its sort, with its seventh consecutive platinum award. In the end, great restaurants are a combination of ambience, imaginative cuisine, authentic service and the very best of wines, and Hartford has long ticked every one of these boxes. Summerhill prides itself in its association with the outstanding standards Hartford House has set itself, and we all rise in salutation of yet another recognition. From one Champion team to another, well done. The South African racing season that has just drawn to a close will be remembered as a vintage one, writes Nicola Hayward for Thoroughbred Internet. Pocket Power won the Queen’s Plate G1 and J&B Met G1 double for the second successive year and then went on to dead heat with Dancer’s Daughter for first place in the G1 Vodacom Durban July. In so doing, he helped Jet Master to the title of Champion Sire for the second year. Jet Master not only sired Pocket Power and his full sister - the G2-winning filly River Jetez (who was fourth in the Vodacom Durban July) - but also the top class sprinter JJ The Jet Plane, winner of his last five outings, three of which have been at Group One level. For this reason, his progeny finished with earnings of R14,437,903, nearly R5.5m ahead of Western Winter in second place. 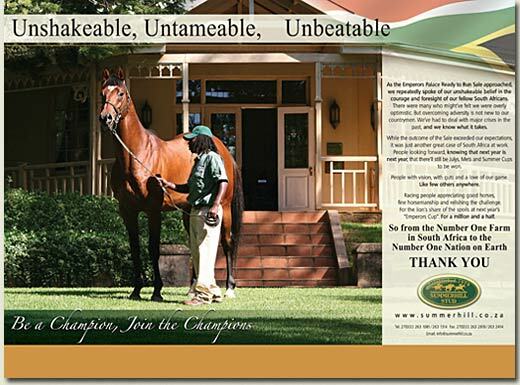 Summerhill Stud was as mercurial in the manner in which it once again won the title of Champion Breeder. The team at Summerhill sent out 241 runners through the season for total stakes earnings of R15,835,423. 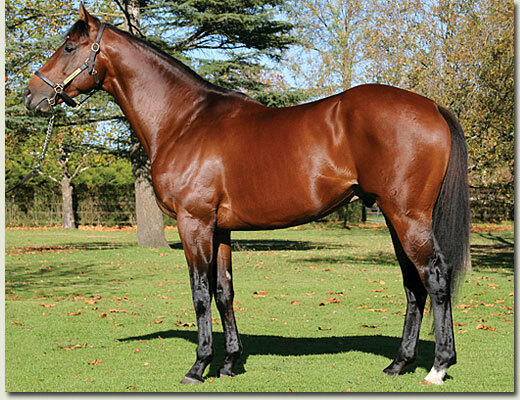 Odessa Stud (D Cohen and sons) was runner up with stakes earned of R10,076,996. Imbongi (Russian Revival) was the top earner from Summerhill, who are also the breeders of the good filly Outcome, the ill-fated Emperor Napoleon and G3 winner Umngazi. Champion Freshman Sire honours went to the late Labeeb, who stood at Summerhill before his premature death two years ago. In 2006/2007 the trainers’ title went down to the wire with a three-way tussle between Charles Laird, Geoff Woodruff and Mike de Kock. Geoff Woodruff prevailed and Charles Laird finished second. In mid-July, Charles Laird would have been forgiven for thinking that this year he had it in the bag, but Mike de Kock is ignored at one’s peril. Mike de Kock had a fine day on Champions’ Day at Clairwood on July 2: Zirconeum was runner-up in the G1 Thekwini Fillies Stakes and Rocks Off, an imported son of Orpen, won the G1 Premier’s Champion Stakes while Front House prevailed in the G2 Gold Circle Oaks. To cap it all, Winter Weather won the G2 Gold Circle Derby. In contrast, Charles Laird had a day he would rather forget: crack two-year-old colt Warm White Night was well beaten in the G1 Premier’s Champion Stakes and Our Giant faded in the G1 Champion’s Cup. The trainers had to wait for the seventh race at the Vaal on the last day of the season before it became clear that Charles Laird would once again have to settle for the runner-up spot – by a margin of just R158,039 on total local earnings by Mike de Kock of R12,509,614. Third place went to young Cape-based trainer Justin Snaith with the other top Cape trainer Mike Bass in fourth. The performances of Justin Snaith and Mike Bass deserve mention since neither sent horses to any of the lucrative Highveld meetings – home base to both Mike de Kock and Charles Laird. Not only did Justin Snaith send out Dancer’s Daughter for four G1 wins in the season but he also conditioned dual G1 winner Russian Sage and Captain’s Lover winner of the G1 Cape Fillies Guineas. Mike Bass conditions Pocket Power and River Jetez, as well as the G1-winning filly Consensual and Bill Of Rights a G3 winner. 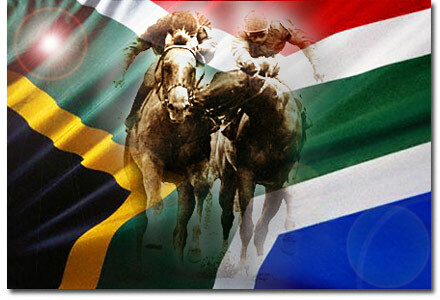 Mike de Kock has done so much to put the South African racehorse on the international racing map. He had the courage to take Horse Chestnut to America and then to go to Dubai with his first small string when everyone at home said that he would fail. Because of his vision and the success of horses like Victory Moon, Ipi Tombe and Irridescence, the face of South African racing has changed and the international spotlight falls on the region far more often. Not only has the country exported some excellent horses but the horsemen that go with them are able to hold their own anywhere in the world – no one more so than the current champion trainer himself. Yes, even though he’s in Australia the boss is sending through articles for the blog. His judging experience was a very memorable and stimulating one and he reports that it was a valuable experience which he considers a privilege to have been part of. “The Royal Queensland Show is up there with the best in the world” he said. He reported there were over 190 entries in the Thoroughbred classes alone and the “EkkA” is the biggest Thoroughbred show in the world. Among the talented people he shared the day with was fellow judge, Her Royal Highness Princess Teresa de Borbon of Spain (world expert on Arabian horses), who judged the non-Thoroughbred classes. The Chief Steward was David Chester (CEO of Magic Millions) who was especially magnanimous in his praise of Summerhill as one of the world’s great breeding institutions, and for its ambassadorial role in international breeding and racing. Other luminaries were Terry Spargo, one of racing’s best known voices who called the World Cup in Dubai last year, and Bart Sinclair, Australia’s leading racing journalist and a celebrated international raconteur. Ironically, the horse which won the Champion Thoroughbred Gelding, was a grey, Argentinian-bred son of Ringaro, by the name of Karacola. This horse once raced for Geoff Woodruff in South Africa, and made his way to Australia via a racing career in Hong Kong, where he raced for Tony Millard.